You might not be responsible for damages and injuries. 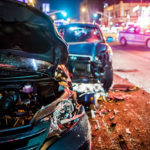 In a recent decision of the Supreme Court of Canada, it was recognized that the owner of a business repairing cars, does not owe to the public the duty of care in the instance of a criminal act such as Motor Vehicle theft resulting in a crash. In Rankin (Rankin’s Garage & Sales) v. J.J., 2018 SCC 19 (CanLII), two 15 year old kids consumed illegal drugs and alcohol, and stole a car from a commercial garage’s parking lot in which the keys had been left in, with the doors unlocked. Through their joyride, they crashed the car, leaving the passenger with major brain injuries. The family of the injured passenger then sued the driver of the car, the mother of the driver who provided the alcohol, as well as the owner of the garage. In this decision, the Court applied the test of negligence known as the Cooper/Anns test, to evaluate if the owner of the garage owed the kids a duty of care, by evaluating proximity and foreseeability between the accidents and the actions of the garage’s owner (leaving the car and its key accessible to the public). The court pointed out that the question was not to link the negligence of the garage’s owner to the chances of being victim of a criminal act, but rather to the chances of someone from the public getting injured from the accessibility of the cars. Whether or not damages coming from negligence are foreseeable is an objective test administered by the courts. The Court concluded that it is not because something is possible that it is necessarily foreseeable; therefore, the Garage did not owe the public an obligation to lock the cars in its possession and make them inaccessible to the public. The test used in this decision was already used in Canada, but the fact that the Supreme Court established through this decision that the garage did not owe a duty of care to the public in such circumstances will help other victims of motor vehicle theft avoid being found responsible for any resulting injuries to another. 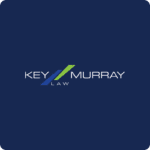 If you have been injured as a result of a negligent or criminal act, or are accused of causing someone’s injuries through your actions, contact one of Key Murray Law’s experienced civil litigation lawyers for a free initial consultation. 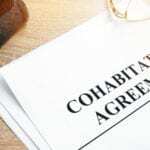 Previous What is a cohabitation agreement and should we get one?